Travelink, American Express Travel, Tennessee’s only appointed American Express Travel Representative, is pleased to announce Tim Barton, Vice President, Finance has been nominated for Nashville Business Journal’s CFO Awards. The CFO Awards, presented by Vaco, honor Middle Tennessee’s top financial professionals for outstanding performance in their roles as corporate financial stewards. The public submitted nominations and a panel of independent judges comprised of past CFO Award winners selected a group of based on outstanding performance for their companies based on financial information submitted. Tim leads the finance, HR, and administrative areas of Travelink. He brings a broad range of progressive senior finance management experience with successful organizations in several industries, including 'big four" public accounting, media & entertainment, publishing, global manufacturing, sports entertainment, and higher education. Tim has worked with familiar iconic brands such as Coca-Cola, Southern Living at Time Inc., Gibson Guitars, and most recently, as the Senior Finance Director for Technicolor, a manufacturer and distributor of DVD/blue-ray discs for 20th Century Fox and other movie studios. 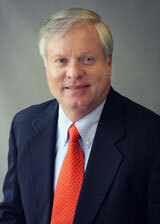 Tim has a Bachelor of Science degree in accounting as well as an MBA from Auburn University. He is a Certified Management Accountant (CMA) and a dynamic leader for Travelink’s finance, HR, and administrative departments. The CFO Awards ceremony is scheduled to take place October 4, 2016. Finalists will be honored at the awards dinner, and one winner in each category will be revealed live. In addition, the finalists will be highlighted in a special Nashville Business Journal printed publication and on NashvilleBusinessJournal.com. Nashville Business Journal will also honor the Lifetime Achievement Award winner: Anthony Crudele - Executive Vice President, Chief Financial Officer and Treasurer, Tractor Supply Co.